I promise to make pesto but do not commit. Now I have to commit and say that I will buy cashews. That’s right. Cashews. 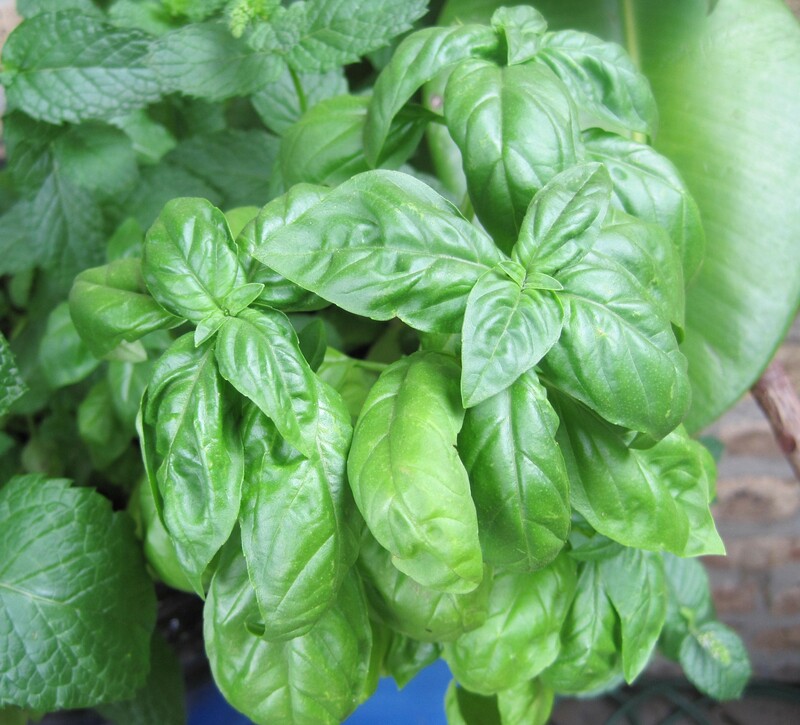 For purists, pesto is made with pine nuts and basil. But pine nuts are expensive here as well, and luckily, we were rescued by an episode of Good Eats, in which Alton Brown showcased how pesto could be made with any number of nut and herb combinations, including cashews, walnuts, or pistachios. After all, pesto is derived from the Italian root pestare, “to pound, to crush.” A friend suggested that adding cashew to pesto could be my way of paying homage to my Indian roots. To which I say . . . sure, why not? 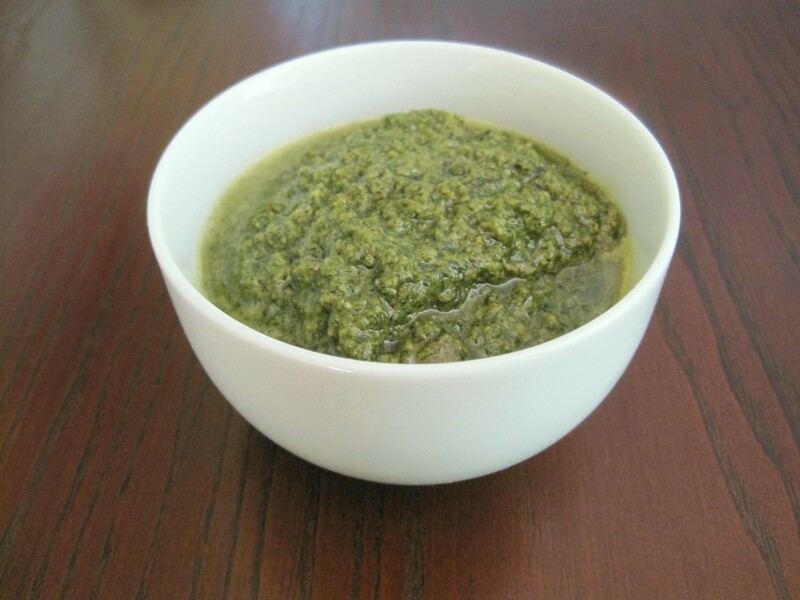 I adapted Mark Bittman’s Basic Pesto recipe, from his How To Cook Everything book. Bittman is flexible about making pesto, noting that any number of hard cheeses might be used, and that the amount of olive oil needed really depends on the consistency desired. A good food processor is invaluable. I used 4 cups fresh basil and 1/4 cup of roasted cashews and modified the amount of oil. Dry toasting garlic cloves in their skins on a skillet before adding them to the pesto mellows any acrid or overly pungent garlicky aftertaste. Place nuts and garlic in a food processor. Pulse for 10-20 seconds. Add remaining ingredients and half of the oil. Pulse, scraping down sides periodically. Add remaining oil and cheese and pulse until desired consistency is achieved. And presto! — sunny basil and buttery nuts and cheese to spread or mix as you like. This entry was posted in Basil, Spices and tagged Alton Brown, Basil Plant, Frances Mayes, Mark Bittman, Sweet Basil. Bookmark the permalink.